A Culligan® Whole Home Solution can greatly improve your quality of life in Brookings, SD. How greatly? We’ll get to that in a second. As a general public utility, water is used in each and every household throughout the day. We interact with our water on a regular basis. Similar to electricity or gas-powered heat we have become accustomed to what’s given to us as the standard. Culligan thinks that standard should change. So…what is a “Whole Home Solution”? It’s simple. Our whole home solution includes our HE Water Softener — a Consumer Digest Best Buy that’s 46% more efficient than time-regeneration softeners. You’ll also get our Aqua-Cleer® Reverse Osmosis Drinking Water System . This filters out contaminants that typical faucet-mounted filters and pitchers cannot, including lead and fluoride. Provide a long-term solution to a problem that won’t go away – whether it’s the rotten smell of eggs (sulfur) to the bleach-y taste of chlorine, to the dangers of odorless, poisonous contaminants such as lead and arsenic. We’ll take care of it for you – most store-bought filters require regular replacement, asking you to go through up to a half-dozen filters per year. This nuisance fills your time, and empties your wallet. 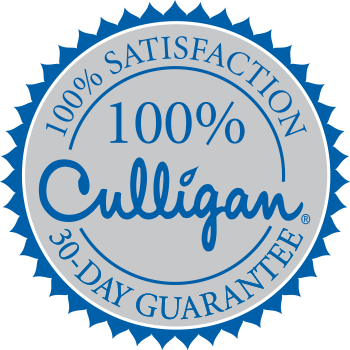 Culligan’s maintenance programs handle all of it. Sit back, and chill. Backed by the industry’s best warranty. Save space in your fridge and wallet – no need to wash your money away on disposable plastic bottles, or find room for them in your already cluttered fridge. You have a plastic bottled water company — right under your sink! Is your water good? Or just good enough? Put it this way: nearly everything that you would consider important in your daily life “drinks.” The hair you comb. The showers you take with, hot water from your water tank. The clothes you wear. The food you eat. The coffee you drink. The second cup of coffee you drink…it ALL interacts with water. Your body wash and shampoo will seemingly last you forever. Your favorite sweater will live longer. Your home appliances, such as your hot water heater and dishwasher become more efficient. Your pipes aren’t as susceptible to corrosion. Your shower avoids mineral scale/buildup. Your washing machine becomes more efficient. Every day is a good hair day! As water quality awareness continues to grow, the standard of living within our homes grows with it. Call your local Brookings Culligan to see if making the commitment to a whole home solution is right for you and your family. Water Quality Research Foundation / Scientific Services S/D, Inc.